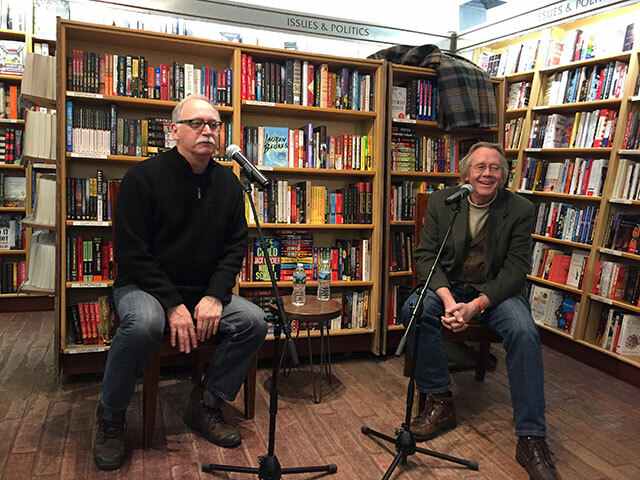 Jim Shepard was at McNally Jackson Books to discuss his new story collection, The World to Come with Gary Fisketjon, his editor. Fisketjon begins by explaining that Shepard is often a described as a writer who defies categories. Shepard says he doesn’t think about categories when he is writing, although without a specific brand, it’s hard to push books on people. Of course, with short fiction, selling really isn’t an issue, he jokes. Much of Shepard’s fiction could be thought of in at least one regard as historical. 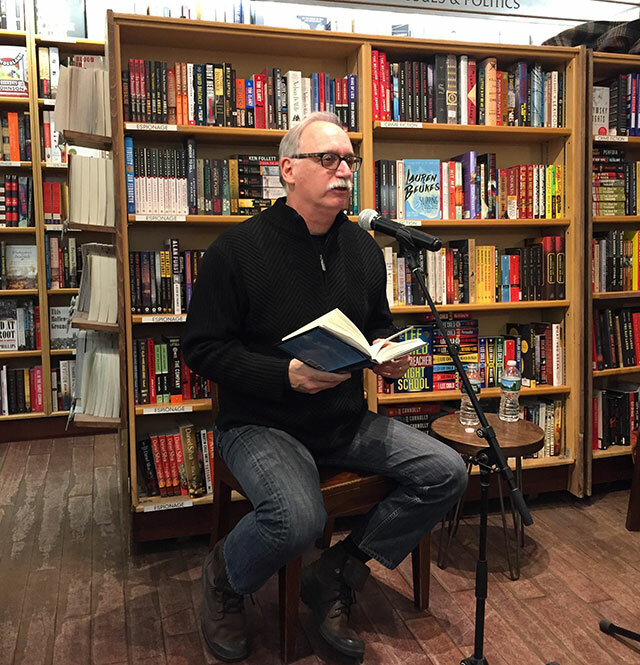 “It used to be a ghetto,” he says adding that even twenty years ago, historical fiction wasn’t considered literary. Today, if someone described his writing as historical, Shepard wouldn’t dissuade them. If Shepard has a particular brand, it’s that he is known for doing things differently. Problematically, now that he is known to deliver that sort of writing, he doesn’t think readers are looking for a different experience. He’s doing things differently in the same way. Shephard’s writing comes from his organic research into various things, what he describes as his desire to become a more interesting person. He ends up reading a lot of material from various sources that lead him into thinking the unexpected in his writing. It’s about getting at things he personally wants to confront. Often he works with characters who are powerless or people who are complicit and pretend they don’t have power. He describes them as human-enabled shitstorms. The historical research inevitably yields some kind of crisis, and Shepard starts to wonder: what kind of person is caught up in these things? That leads to his character creation and then he builds the world and story. One member of the audience assigned Shepard’s books to his students, presumably undergraduates, and says they didn’t find the humor that came across in Shepard’s reading. A lot of times students assume the classroom isn’t a place they can be entertained, Shepard says. They must be taught that they are allowed to laugh. One thing to be conscious of when conducting research is doing too much. Research is great, Shepard says, because you don’t have to write. That can become a problem. He doesn’t want to be authoritative on a subject before he starts writing–that would take too much time and distract from actually writing. Instead he becomes authoritative through the act of writing. He explains that just a small piece of the world is enough to get going. The pleasure readers get from fiction is the non-fictional elements. There are limits to what can be changed. Smaller things are fine to change, but there are often readers who want to point out even minor flaws. That doesn’t mean a writer can’t do too much research. “You can really go down a rabbit hole forever,” he warns about research.